Michael Edwards, My Life My Choice President. 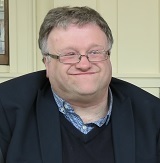 Michael founded MLMC in 1998, and for the past 20 years has been a champion of the rights of learning disabled people and an active trustee of the organisation. 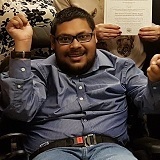 He has challenged those in positions of power to listen to people with learning disabilities, and been a much-respected role model for younger members of MLMC. In April 2017 the charity’s membership voted overwhelmingly for Michael to be made the lifetime President of MLMC. Sara Ryan, My Life My Choice Patron. 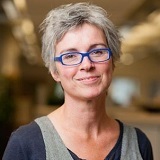 In February 2018, the trustees asked Dr Sara Ryan to be MLMC’s first ever charity patron. 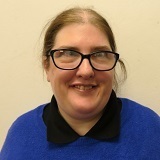 Sara is a long time supporter of MLMC and is well known nationally in the learning disability sector. Her role is to help expand the reach of our campaign work, spread our networks, and help the trustees to represent the charity at the highest level. Abul is a member of our Oxford group and an essential part of the quality checkers team. Abul likes to use computers and be independent as much as possible. Andy Denmark, Vice Chair of trustees. Andy is new to being a trustee this year. 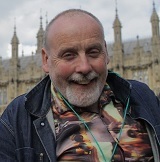 He has been part of MLMC for several years, particularly in the Champions group where he has taken part in campaigns including the jobs film and the march against NHS cuts. In his spare time, Andy likes to be on his motorbike. Andy has been a member of MLMC for many years and has been a trustee lots of times before. 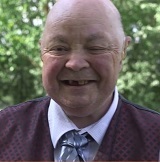 He is a regular member of the Abingdon group and can always be found with a new joke or cheeky smile. 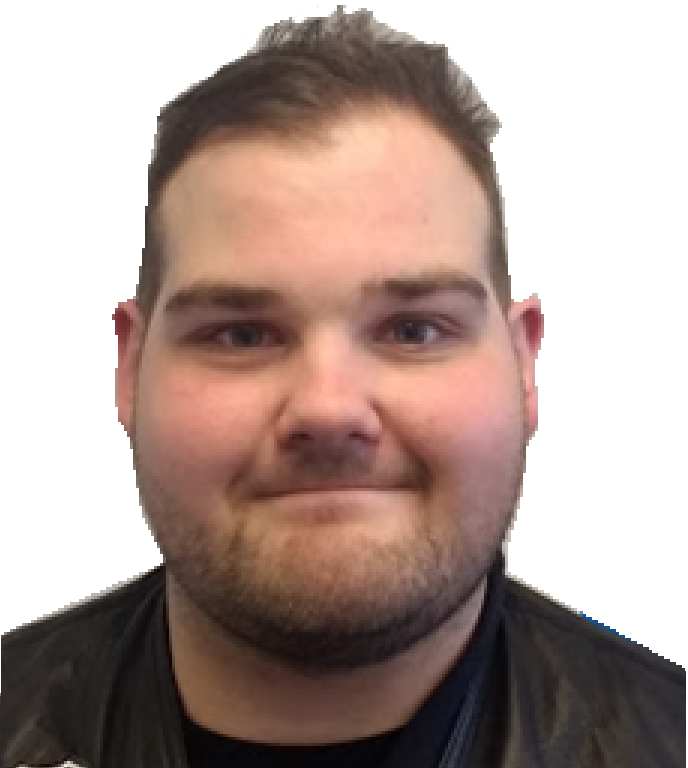 Ben is new to being a trustee this year but is involved in loads of projects with MLMC. 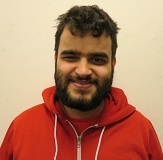 He is a member of the Oxford Co-production board, is one of our champions and is getting involved with gig Buddies too. Charlene is an outgoing member of the Abingdon group where she has been a member for many years. Charlene loves to chat and is a great listener too. 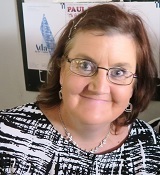 Gina has been a trustee of MLMC for several years and is involved in lots of projects. Gina loves cooking, helping people and walking so she took part in the Camino walk last year and is helping set up our new walking club. Jamie is one of our younger trustees and we were pleased to see him voted on again this year. 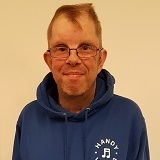 Jamie is a member of the young peoples group and is loving being involved in the gig Buddies project with his buddy Alex. Joan is a fun and friendly member of our Oxford Group. She is a great self-advocate who helps people speak up for themselves and is happy to speak on their behalf. She is a long-time member of Stingray and is always ready with a hug. Katie is involved in lots of projects at MLMC and has been an active member for many years. In her spare time, Katie loves pop icons such as Aaron Carter and her cute cat called Brandy. 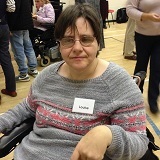 Louise is a great activist for MLMC who never lets her disability stand in her way. She has been going to the Banbury group for many years and is very pleased to be trustee again this year. Nigel has been a member of MLMC for many years and is a great activist and advocate. He loves doing research and acting, and he was the star of our ‘Get Healthy, Live Longer’ film. Paul is a longstanding member of MLMC and works on lots of different projects including Stingray, Champions and Gig Buddies. He can often be found helping out at the MLMC office but when he isn’t, he volunteers to help the homeless with the SWAT charity. Steve has been a trustee of MLMC for several years now and has been involved in lots of our work for a long time. 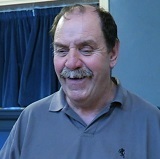 Outside of MLMC Steve has worked for Tesco in Abingdon for 30 years and is very interested in politics and history. 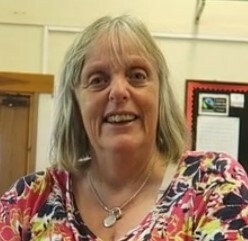 Suzanna has been a member of MLMC for many years and is a regular member of the Didcot group. She loves getting out and about with her partner Jeremy and is looking forward to getting more involved with the Champions group this year.